Tuesday evening, I planned on attending what looked to be an interesting reading. . . but what it turned out to be was an inspirational, uplifting and hilarious multigenre experience. The event was titled “After Dancing: Dancers Turn to Writing,” and for good reason. These two wonderful, strong women were dancers for the majority of their lives, and when they eventually “left” that part of their lives “behind” (though, we did discuss that you never leave such a big part of you behind, not really), they turned to writing, and eventually writing about dancing with new vigor that many dancers never find the words to express. As the original event flyer explains, Moira MacDougall’s first poetry collection, Bone Dream, from Tightrope Books, summoned much of her training in classical ballet and modern dance, as well as her experiences as an Iyengar yoga instructor. From my experience of listening to her read (in the crisp, precise enunciating way she is so blessed with! ), her poems are filled with pain, raw truth (about the physical body and emotions of the mind), as well as a Dream World from which she draws references of Greek Mythology, Christianity/Catholicism (from which she was raised) and some various forms of old and new pop culture. Despite the strange way these various topics may move or taste in one’s mouth, what was then produced was a new way of expressing her experiences and feelings about dance that maintained a dancer’s vitality and spirit in the most admirable of ways. 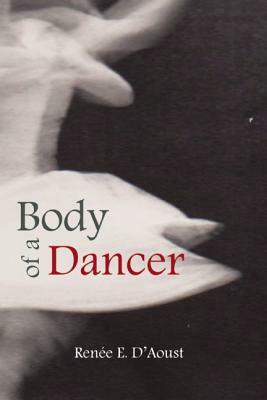 Similarly, Renée E. D’Aoust’s memoir, Body of a Dancer, from Etruscan Press, is expressed through a series of “Acts,” or narrative essays, which discuss her time in New York at the Martha Graham School. I purchased, both, MacDougall’s and D’Aoust’s books before the reading began, and I spent a few minutes exploring each. What I found in D’Aoust’s work was a stark quality often lacking in fiction, the harsh truths of performing at a professional level, elevated to a whole other state of hilarity, strength and heart. D’Aoust additionally has “what it takes” to make that clean, wide divide between what it means to read a work and what it means to see a work, a performance of a work. Throughout her reading, she had memorized passages, acted, gestured—in a very real way, danced, to what her work demanded. Her work, and her performance, and her attitude, were inspirational and uplifting, and the experience of watching her, of experiencing her work through her performance, left me feeling lighter and more inspired than I have in a long time. What made both of these women’s equally, individually, inspirational and beautiful performances all the more honest and real was the fact that they were performing together, in a multigenre performance, within a dance studio—a multimedia room with a large dance area, mirrors along one wall, and a ceiling that made me want to return to singing. The first third of their performance was their movement, back and forth, from poetry to memoir, account after account, one truth after another. Experiencing this first brought an unusual excitement for life, dance and writing into the room that I very rarely have seen or felt in a reading. This then led seamlessly into the second section, during which Moira read some of her published, and new, poetry, followed by Renée in the third section, who read and performed purely from the first section of her book, regarding the Martha Graham School. The way each of these forms of art—dance, poetry and memoir—all worked together, moving, in this room, was so telling and real and beautiful. Beautiful in a way that is often removed from a writer’s reading, when placed in a room, pinned behind a podium. It was different, and it was breathing. After I have fully read their books, I will post reviews on each… This will absolutely be a wonderful project to complete; I’m truly looking forward to it. Moira MacDougall has been published widely in Canadian and American literary journals and is currently the Poetry Editor for the Literary Review of Canada. She lives on The Beach in Toronto, Ontario. If you are interested in purchasing her book, Bone Dream, please visit Tightrope Books. Renée E. D’Aoust has numerous publications and awards to her credit, including a fellowship from the National Endowment for the Arts’ Journalism Institute for Dance Criticism at American Dance Festival (a mouthful, huh?). She lives half of the year in Switzerland, the other in Idaho, where she manages her family’s forestland. If you are interested in purchasing her memoir, Body of a Dancer, please visit Etruscan Press.